Built on the same platform as the N120, the N133 takes counterfeit to the next level. 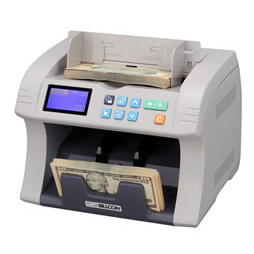 The N133 features both Magnetic Counterfeit Detection (MG) as well as Ultra Violet Counterfeit Detection (UV). 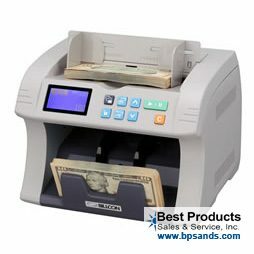 If you’re looking for an affordable, accurate and high-quality note counter…your search is over. 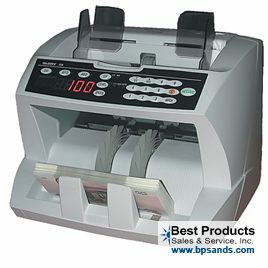 The Billcon N133 Note Counters offer you all this…and so much more. Heavy duty construction, sleek design and 1,500-note-per-minute speed…all in one compact machine. With the N133 you can increase your companys productivity, and get the ease-of-use, product reliability, and superior after-sales support thats made Billcon a success in over 70 countries worldwide.